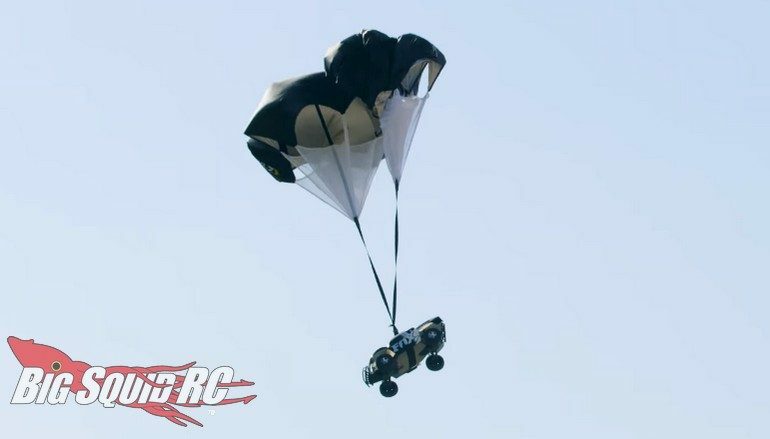 Video – Traxxas Parachute Roof Jump « Big Squid RC – RC Car and Truck News, Reviews, Videos, and More! The latest video from the crew at the Traxxas Underground features all the makings for an epic video- a tall building, an rc car, and some parachutes. Watch below to see the Underground crew launch a Slash off the top of their building, but thanks to a pair of parachutes, the truck ends up landing safely below. After watching the video you can get more info on an rc car, and some parachutes at that link, or you can Click Right Here to read more Traxxas news on BigSquidRC.